← Do you שָׁחָה (worship) the same God I do? Is that the DOORBELL I hear?!? My younger brother was a MASTER when it came to avoiding getting punishments and whippings. “Guys? I might die Guys!?! That was how my brother thought as a young kid. Whether he was selling my mom’s canceled checks to the neighborhood kids for real money or taking his wagon around with my cousin removing everyone’s water meter covers and then selling it back to them for money or pie – he liked pie! “Wait! Wait! Wait! Is it going to hurt? “Wait! Wait! Wait! How many smacks? “Wait! Wait! Wait! Is that the doorbell I hear? Mom lost her will to punish him – to teach him. She laughed and couldn’t stop. My brother learned right there how to use someone’s emotions against them at a very young age – how to manipulate them through guilt, cuteness, and humor. Who broke the antenna on the car? Who took my money from my wallet? Why did you lie about brushing your teeth? Why were you playing with matches in the house? Why did you swallow that quarter? Who ate all the desert? Who broke the faucet? I have a demon in me – he made me do it! Who broke the antenna on the car? I have a demon in me – he made me do it! Who took my money from my wallet? I have a demon in me – he made me do it! Why did you lie about brushing your teeth? I have a demon in me – he made me do it! Why were you playing with matches in the house? I have a demon in me – he made me do it! Why did you swallow that quarter? I have a demon in me – he made me do it! Who ate all the desert? I have a demon in me – he made me do it! How about integrity? If all sickness are demons “inside your soulish realm” that need to be cast out so they can be set free as some of them teach, then the real lack of integrity on these parents parts are when they take their child to be immunized. Can you immunize your child from a demon being in them with medical science? If so, does the medicine “cast out” the demon? If not, then why would you do it? To obey the authorities? Any what about if your child gets sicker because you do NOT use medicine on them? What if it results in them needing to go to the emergency room? Why would you go to the emergency room in the first place??? Shouldn’t you be taking them down to your local “cast demons out because sickness is demonic” type deliverance ministries church? I mean you have to know that they are going to give them medicine, right? Unless you believe medicine cast out demons, then wouldn’t this not only be a lesson in futility, but a lack of faith in God as well? What about when the parent has pink eye, yeast infection, kidney stones, urinary tract infection – – All demons, right? Does this parent go to the doctor? If so, again, why? I am going to make it simple. 18 I wait for your deliverance, Adonai. Thoralf Gilbrant, ed., “3568,” in The Complete Biblical Library Hebrew-English Dictionary – Heth-Yodh, (Springfield, IL: World Library Press, Inc., 1998), WORDsearch CROSS e-book, Under: “3568”. Leave the man-made doctrines alone! Stop following men that teach something different than what is in the text – men that pervert what is already in the text – men that don’t rightly divide what is in the text . . . and Trust in Him! He is where healing comes from!!! The deliverance ministries that teach that even though you are a new creation in Messiah, that you can and do have demons in you as that new creation – that darkness can be in the presence of light – are simply false teaching. 3 In their greed they will exploit you with fabricated stories. he put them in gloomy dungeons lower than Sh’ol to be held for judgment. and brought the Flood upon a world of ungodly people. as he lived among them, tormented his righteous heart day after day. do not bring before the Lord an insulting charge against them. insult things about which they have no knowledge. 13 they will be paid back harm as wages for the harm they are doing. so that they seduce unstable people. and restrained the prophet’s insanity! for them has been reserved the blackest darkness. from those whose way of life is wrong. for a person is slave to whatever has defeated him. their latter condition has become worse than their former. to turn from the holy command delivered to them. 11 Just as a dog returns to his vomit, a fool repeats his folly. I love you – I want you to be healthy spiritually . . . I try to protect those I love. This entry was posted in False Teachers and False Teaching, Salvation and tagged 2 Peter, deliverance, deliverance ministry, demonic, demons, Genesis 49:18, integrity, Is that the doorbell I hear?, Matthew 1:21, messiah, Proverbs 26:11, salvation, sickness, sickness is demonic, yeshûʿāh, Yeshua, יְשׁוּעָ. Bookmark the permalink. 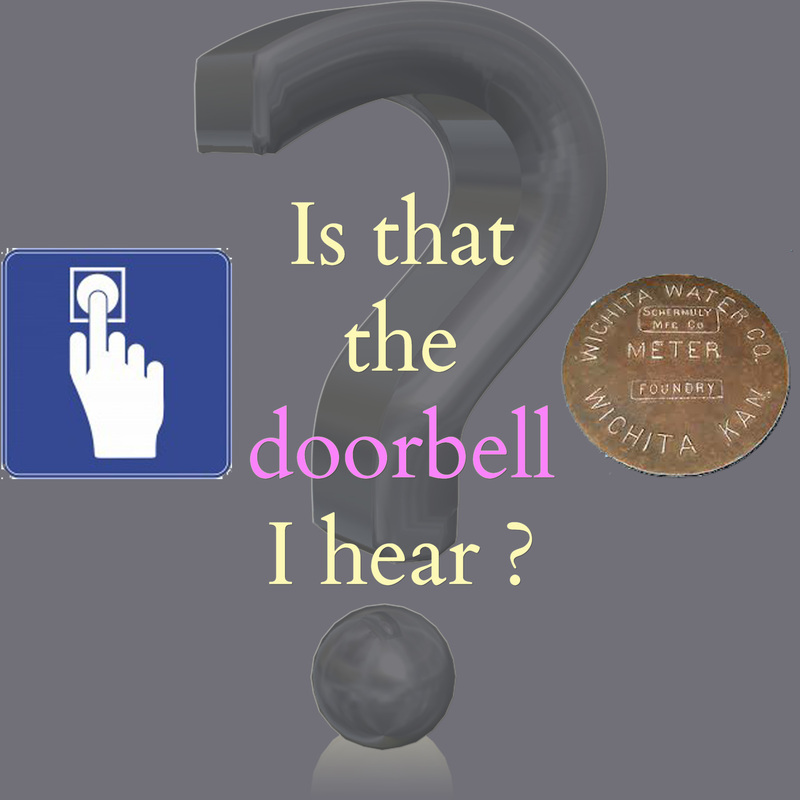 4 Responses to Is that the DOORBELL I hear?!? Very well written. Simple truth…I feel blessed that you care this much about our friends and family. After having a brief discussion with a young person today about the Ruach HaKodesh, it got me to thinking concerning some of the things they said. . . The Brit Chadashah (New Covenant) was received by the biblical writers through revelation from Adonai through the Ruach. Adonai does not lie – his word does not fail. What happens when someone accepts that what they believe is from the Ruach with their whole heart – that all they need is the Ruach (implying that they don’t need the text as much as what the Ruach reveals) – and yet the Ruach is how the text was received and revealed? What happens when they believe the Ruach has given them something that is not in the text or contradicts the text (a text that was given also through the Ruach)? Don’t be so quick to judge this young person – I believe their zeal for God is real . . . this is a real problem for many, many people. For some, it is a paradox. For some, it is a conundrum. For some, it is a lack of understanding. For some, it is a lack of knowledge. For some, it is a lack of wisdom. For some, it is a lack of patience. For some, it is a lack of trust (faith). For some, it is not understanding what the text is or what its purpose is. There is only one doctrine according to the Rabbi Sha’ul(Paul), and yet we have hundreds of doctrines (many different ones within the same faith: there is not one kind of Baptist, but many – there is not one kind of Lutheran, but many – there is not one kind . . . well, you get the point). It is my prayer that these writings on this site are glorifying to God – That they help people get to the root of their theological suppositions so that they can examine them in the light of the text – So that we don’t worship the God we create in our own minds, but worship the God that created us!